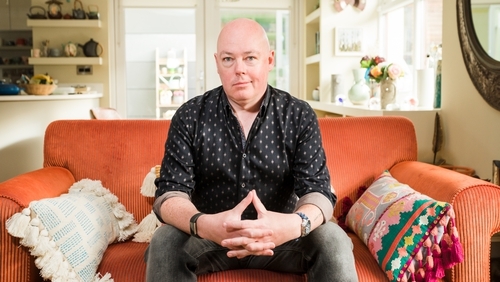 Writer John Boyne was crowned winner of Celebrity Home of the Year! This year's Celebrity Home of the Year followed our trusty panel of judges; design legend Hugh Wallace, award-winning interior designer Deirdre Whelan and introducing award-winning architect Peter Crowley as they introduced us to the homes of five Irish celebs. Peter Crowley, Hugh Wallace and Deirdre Whelan. Photo by Ruth Medjber. This year, we got to have a peek inside the homes of artist Robert Ballagh, broadcaster and entrepreneur Ramona Nicholas, novelist John Boyne, meteorologist Jean Byrne and singer-songwriter Eleanor Mc Evoy. Looking for individuality, functionality and clever design, the judges individually scored each of the homes out of 10. This year's winner was none other than John Boyne! The writer, whose books include The Boy in the Striped Pyjamas and The Thief of Time, received a donation for a charity of their choice. Click through the photo gallery above to have a look inside all the celeb's homes.